This week we thought we’d keep our blog post short and sweet and pose a question that, in most cases, has tricked everyone into giving the wrong answer. Ourselves included (!). 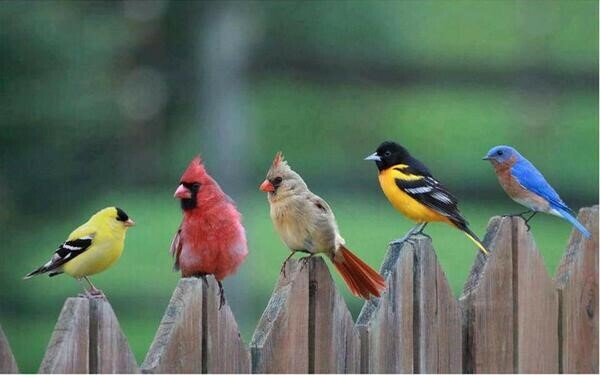 Five birds are sitting on a fence. Two decide to fly south. How many are left? Actually, all five are left. You see deciding to fly south isn’t the same as doing it (!). If a bird really wants to go somewhere it has to make sure it’s pointed in the right direction before jumping off the fence, flapping its wings and keeping going it until it gets there. Simple really. And so it is with most things. Good intentions aren’t enough. It’s not what we want, say or think that makes things happen. It’s what we do. How often do we think about doing something – or write it on our “to do” list – and yet it doesn’t seem to get done? In fact “to do” lists would be better described as “good intentions” lists for many people (!). While we can always come up with many reasons, excuses and justifications for not doing something; in the end it’s quite simple. We either do it or we don’t. So the question is what do you want to do? And, more importantly, what’s stopping you from pointing in that direction, jumping off the fence and flapping your wings? “The smallest deed is better than the greatest intention.” John Burroughs, Author.